Democrat Fairfax Wants to Take the Baton from Lt. Gov. Northam after Nov. 7 | News and Features | Style Weekly - Richmond, VA local news, arts, and events. 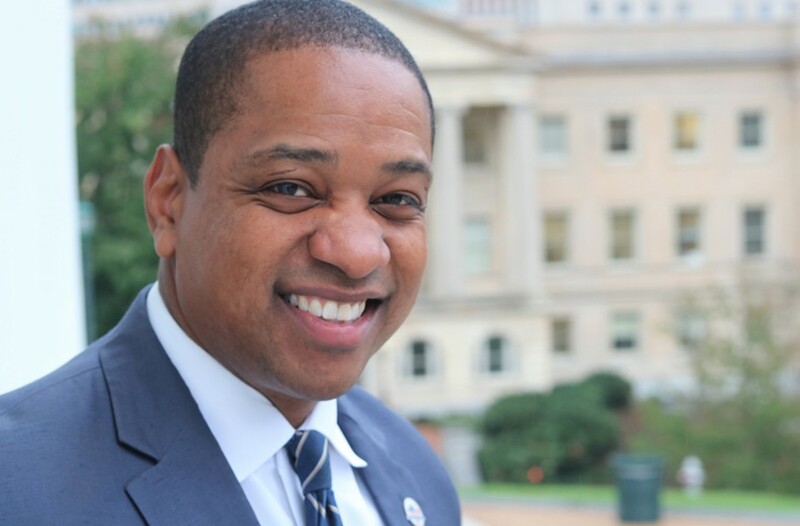 Democratic lieutenant governor candidate Justin Fairfax has worked his way into politics. After years of working as a lawyer, Fairfax ran unsuccessfully for the position of Virginia attorney general in 2013. In the time since, he has practiced law and served as vice chairman of the board of the Planned Parenthood Metro Washington Action Fund. Now he has set his sights on the position of lieutenant governor and has shared campaign stages with incumbent politicians and running mates Attorney General Mark Herring and current lieutenant governor turned and gubernatorial candidate Ralph Northam. "I made a lot of great friends and connections four years ago," Fairfax says. He feels that the state's No. 2 executive position offers a chance to "pursue that same agenda around economic security and opportunity, but from a slightly different perch." He may lack experience in holding political office, but Fairfax has worked as a federal prosecutor in a major crimes and narcotics unit, and has served on a human-trafficking task force. Gun control is a focus of his campaign, and in the wake of the most recent mass shooting in Las Vegas, the topic has resurfaced in national conversations. "I have prosecuted gun crimes, so I know what it means to keep our communities safe," Fairfax says. "We also need to take common sense measures to try to reduce gun violence." To Fairfax those include universal background checks and a ban on high-capacity magazines as well as civilians being able to obtain military-style assault weapons that could easily be converted to rapid fire like automatic assault weapons. "We saw the devastation that they can do," he says. "These are not guns that are used for hunting. They're not used for sport. They're used to commit the most amount of carnage with human beings as possible." Fairfax also supports re-establishing a Virginia law that limited handgun purchases to one a month. Introduced in 1993 by former Gov. L. Douglas Wilder, the law was repealed under Gov. Bob McDonnell in 2012. Like his opponent, Republican Jill Vogel, Fairfax carries a cheery disposition and a large smile. At a multicultural chamber of commerce event in Northern Virginia on Oct. 2, he joked about living in Fairfax County despite his last name and the fact that one of his older sisters is named Virginia Fairfax. Another campaign goal is to lower and restructure student-loan debt. Fairfax aims to create an authority that will allow people to refinance student loans in order to shave totals off of monthly bills. "This allows students and their families to have a lot more economic flexibility so they can buy a house sooner and start saving for their retirement in their 20s and 30s instead of later in life." Fairfax says. "In much the same way people refinance their houses, cars and credit cards, I want to make it possible for people to refinance what has become a very significant issue for many people." The ability to refinance student loans used to exist before the Education Department suspended it in 1997. In the 20 years since, other states such as California, Maine and Connecticut have begun to re-establish refinancing options such as what Fairfax proposes. Fairfax also supports incremental raises to minimum wage, which Vogel claimed in their Oct. 5 debate could lead to more companies opting for automated labor, thus phasing out physical employees. Fairfax also echoes his running mate Northam on the push for filling what they call "middle-skill jobs." These are jobs that require more than a high school diploma but less than a four-year college degree. "We want to give people training and certification through our community colleges or through apprenticeship programs so that once they are trained and skilled, they can go out and fill those jobs," Fairfax says. He also noted the record turnout he witnessed in this summer's primaries and feels the Democratic Party is "energized." Fairfax calls this a "critical election" and urges people to go out and vote on Nov. 7.